A collection of Vietnamese short stories releases next week. I have been making my way through them during the weekend. Then I spent the other parts of the weekend totally freaked out. I may have even developed a few new phobias about the other world. 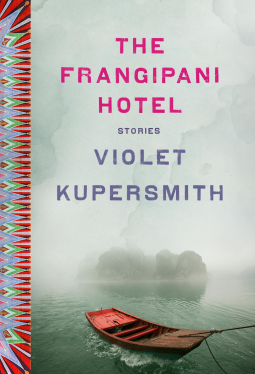 I absolutely love the culture of these stories and Violet Kupersmith bringing them into the modern era. The lessons that grandmothers have been teaching their grandchildren in Vietnam are now polished up for everyone to enjoy. I am a huge fan of cultural myth and folk tales. This was definitely a book for me, but I think that everyone can enjoy the stories. Keep your lights turned on! Get your copy pre-ordered here, or ask your local, indie bookseller to get an order.